I love wisdom stories for the life change they bring. 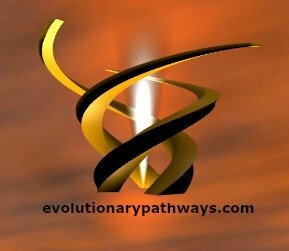 Wise tales of ancient wisdom have played a large part in my own evolutionary pathways and they're brought here so that they may become part of yours too. With wisdom by your side, or should I say deep inside, you're enriched and truly empowered. Inspirational stories that will motivate life change are a true and joyful companion to join you on your way. There is an old samurai tale, told in the ancient Japanese wisdom traditions, that illustrates the raw essence of gratitude. A young Samurai was roaming the countryside in search of a famous Zen master. It was well known at the time that samurai would seek instruction from Zen masters to gain a better understanding of themselves and the workings of their mind. This would help them improve their fighting skills and live honorably. After searching far and wide the samurai finally located the Zen master living deep in the woods. "Please teach me the ways of heaven and hell", the samurai requested of the Zen master. The old master took one look at the samurai and burst out laughing, "Look at you!" he exclaimed. "You call yourself a samurai? Look at that belly of yours...you can't even control your own appetite, and you want to learn the ways of heaven and hell...hah, what a joke!" The samurai was besides himself with embarrassment that quickly turned into anger and then into full blown rage. His face turned red and his hand reached for his sword. Zen master or not, this man was going to pay for his insult, "I'm going to cut you down! ", he announced while raising the sword above his head. The Zen master turned to the samurai and said in a calm and measured voice, "That's hell." The samurai, instantly recognizing the error in his judgement and the wisdom and kindness in the Zen masters' instruction, had a complete change of heart. He fell to his knees in gratitude and appreciation. "And that's heaven", said the master. For more on this wisdom tale visit here. In an old city in ancient Japan there once lived a pros*itu*e and a monk. They didn't know each other. They weren't even acquaintances. Yet each of them were deeply influenced by the other. Their lives were closely connected. Every evening as the pros*itu*e left her home on the way to earning a nights wage she would pass by the Buddhist temple where this monk lived. And every evening the young monk would be seated outside in the temple garden doing meditation. As the young pros*itu*e passed by the temple she would see the monk seated in meditation and would think to herself, "What an amazing young man. What a noble life he is leading. Such a pure existence, untainted by the worries and concerns of this world. How rare and how wonderful!" These thoughts sustained the young woman and gave her strength to endure her life. Just to know that someone was leading such a pure life gave her both hope and encouragement, even though she knew that such purity could never be her own. She always felt blessed just walking by the temple and being in the presence of such sacred energy. The monk, although supposedly seated in deep meditation couldn't help but notice the woman as well. Every evening as the young woman passed by the temple, the monk would become distracted and think to himself, "What an immoral woman. How could she make a living doing what she does? Selling her body - how low can a person go! Where is her self respect and dignity?! What a wasted life. She would be better off dead!" Quite a telling inspirational story. For more on this wise tale visit here. "In the beginner's mind there are many possibilities; but in the expert's there are few." ~Shunryu Suzuki "Zen Mind - Beginner's Mind"
A Zen scholar sought out a particular Zen Master in order to obtain instruction from him. After a long search, he found the hut where the Master lived and requested entry. The prospective apprentice was invited in for a cup of tea. The Zen Master and his guest sat down together at a small table and the master asked him what he knew about Zen. The guest started talking and just never stopped. Apparently his knowledge of Zen was very broad. He knew many Zen stories, he was familiar with the teachings of different Zen masters and lineages and he could elaborate on the principles and finer points of Zen philosophy in great detail. Obviously he was quite an accomplished Zen scholar. For more visit Japanese wisdom. "Attitude is a little thing, that makes a big difference." "Above all, don't lie to yourself. The man who lies to himself and listens to his own lie comes to a point where he cannot distinguish the truth within him, or around him, and so loses all respect for himself and others. And having no respect he ceases to love." For more on this wise tale visit here. Get Your Wisdom Stories Published on our Site! Share Your Great Wisdom Stories Here! Have you ever heard or read any wisdom stories that stayed with you over the years? What did you like about the wisdom story? What did you learn from it? How did it change your life in ways big or small? Share your wisdom stories here using your own words. Add your personal insights too for others to benefit! !